The rise of the German budget supermarkets Aldi and Lidl over the past few years has been phenomenal, with more and more large stores being built as both increase its share of the market at the expense of more established brands. Currently, Aldi are fifth in the league table of UK supermarket grocery sales – which includes wines and spirits – with 7.6 per cent of the market, while, just below the Co-op, Lidl are seventh, with 5.2 per cent; both above Waitrose, but still a long way off the market leaders Tesco, with 27 per cent, and Sainsbury’s, with 15 per cent. But these have been around a long while. During the key run-up to Christmas period, two-thirds of British consumers are estimated to have visited one or both of these newcomers and it can be fairly assumed that buying their bargain lines in wines, as well as beers and spirits, was part of that trip. But while the very low prices – frequently under £5 for rather generic wines from obscure labels – cannot be expected to always signal quality, there have been moves in the last couple of years by both retailers to really up their offers, with wines featuring interesting grapes and from unexplored regions. Aldi has led the way with its Exquisite Collection wines, which has included such gems as the £8.29 Cremant Du Jura, previously recommended here and a simply fantastic bargain, with a quality far in excess of those sub £10 Proseccos in the corner shop. The Artisan range of Australian varietals was also exceptionally good quality, but at £10-16-plus also took their average prices up a good bit. 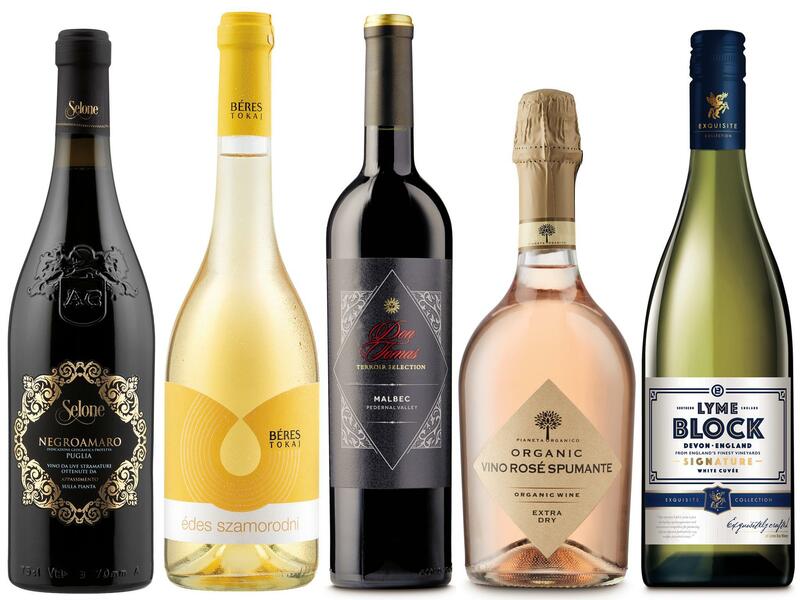 Lidl has also introduced its Wine Tour ranges, which are added to the core range every few months, but then are likely to disappear without trace as soon as stocks run out. So, here are some new wines due this spring from both retailers, with the warning that if you don’t act fast, you might miss them from the shelves… but if you do, you might just get yourself a serious bargain. And at these prices, buying a couple of bottles just to see what’s on offer is not really going to break the bank. Firstly then to Aldi’s new wines, most of which are in their shops and online from Monday. Look out for a pair of terrific sparklers, the Castellore Organico Sparkling Grillo NV (£6.99) and Castellore Organico Sparkling Rose (£7.99), the former made from the indigenous Sicilian grape that also produces excellent whites and the latter from a blend of another local white grape, glera and pinot noir – both are fabulously refreshing and enlivening celebration or party wines at ridiculously good prices. And a bottle of either is the best way of washing down a humble fish and chips. Over in Portugal, Aldi have sourced a white made from another lesser known indigenous grape, avesso, in the Wine Foundry Avesso 2018 (£6.49) from the Vinho Verde region, which some have tipped as the next big thing in white grapes – it’s an approachable quaffer, certainly, but has a nice lemony, richer edge, showing real character. Great with simple seafood dishes, such as a plate of grilled sardines. The Exquisite Collection range now also boasts its first English white wine, the Lyme Block English Wine 2018 (£9.99), a crisp and fulsome blend mainly of bacchus and pinot blanc, made for them by the respected Lyme Bay winery in Devon. It may seem more expensive than most Aldi wines, but English whites do attract a premium, so this is definitely good value – one for more special seafood dishes and would not disgrace a plate of English oysters. Now for a couple of reds: The Toro Loco Bobal Merlot (£4.89) from the slightly obscure Utiel-Requena region near Valencia is a gutsy, barbecue-friendly red made from the local juicy bobal grape and given depth with some merlot – ideal to be guzzled out of tumblers in the garden when we, eventually get some warm evenings. And lastly a juicy, characterful Malbec, the Don Tomas Argentinian Estate Malbec 2018 (£7.99), again barbecue-friendly or to be drunk indoors with any roast or grilled meats, particularly steak. And there is now serious competition from Lidl in their spring Wine Tour range, which is available in stores and online from 28 March. Firstly, a really appealing, distinctive organic Rioja white Dominio Laertes 2017 (£5.99), a blend of 50 per cent viura with some sauvignon blanc and the obscure, indigenous, maturana blanca grape. 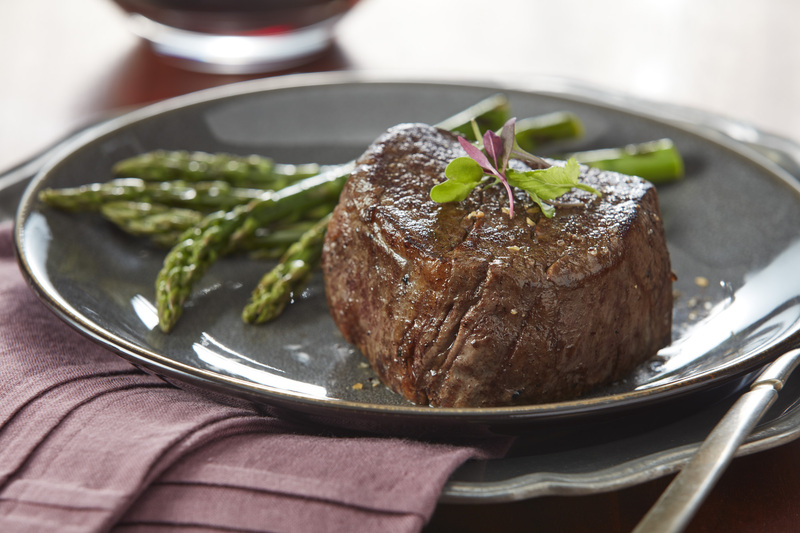 A smoky, full-bodied but refreshing wine that seems to be more than the sum of its parts; great with fish, salads or lighter, white meat dishes. From Puglia in southern Italy, one of the best value new wine regions, comes the Selone Negroamaro 2017 (£5.69), a rich, inky, red, with lots of tarry, rustic, dark fruit flavours: one for robust meat dishes, baked pasta and slivers of aged Parmesan. Ridiculous value for the price. And the Bernard Magrez Jamais Renoncer Cotes Du Rousillon 2017 (£5.99) is a smooth, warming, typical southern French blend of carignan, grenache and syrah, bearing the name of one of Bordeaux’s big players as a sign of quality that’s not really needed. An excellent wine for all Mediterranean foods. Finally, a dessert wine: Hungarian Tokaj is one of the world’s great sweet wines and can command premium prices. Lidl’s Tokaji Szamorodni Béres 2016, (£6.99 for a half-litre bottle) may not be the most refined example of Tokaj but at that price, it’s a gorgeously sticky, apricot-and-honey-flavoured accompaniment to any pudding or cake.